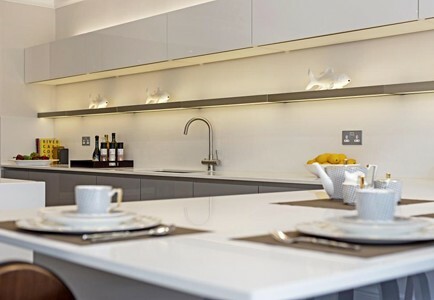 ARA Homes is an established house builder based in Loughton in Essex with a long history of delivering quality individual properties in and around the northern home counties and the North East of London. ARA was originally founded in 1997, by Geoff Shaw. Geoff has a wealth of construction and house building experience gained over 40 years, is a Fellow of the Chartered Institute of Building, and holds a degree in Architecture from UCL. Now, with a team of experienced project managers and design, technical and administrative staff the company continues to grow successfully, whilst ensuring the highest standard of construction, service, and customer care is maintained. ARA Homes is proud to be a family run business with a broad range of highly qualified expertise. We strive to give our customers the peace of mind they deserve during the house buying process and are personally contactable at any time. Geoff is a Fellow of the Chartered Institute of Building, has an MSc in Architecture from UCL and has over 40 years’ experience in construction. He has been a director of several major construction companies including Kier Group plc and Jarvis plc, during which time he delivered Gatwick North Terminal and Lakeside Shopping Centre. David is responsible for all areas of financial control, reporting, tax, project budgeting and managing the relationship with our financial stakeholders. He joined the company in 2012 having qualified as a Chartered Accountant with Deloitte in 2004. David has also worked at Barclays Capital and the Royal Bank of Canada in various finance related roles. He holds a degree in Economics from UCL. Robert is responsible for operations and co-ordinates the efforts of the Design, Procurement and Construction teams ensuring the highest quality is maintained and projects are delivered on programme. With a careful eye for detail he ensures every client’s new house is built to the uncompromising standards we expect at ARA Homes. Robert has a BA in Business Management and 15 years’ experience in sales and marketing. Previously he directed a successful overseas property agency and worked for IBM.